The EQ Positive Impact Portfolios are a fully managed investment solution combining social and environmental impact with market leading returns. Available in a range of risk profiles via adviser platforms. The EQ Positive Impact Portfolios invest in funds which can show that they are supporting companies taking steps to achieve a social or environmental impact as well as a financial return. Each investor has their own portfolio which is invested in a well-diversified mix of 15-20 funds and actively managed by EQ. 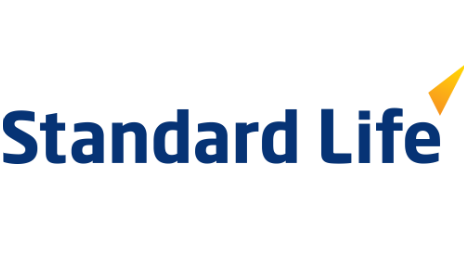 They can be held on platform within ISA and SIPP wrappers, offshore bonds, or in a general investment account. Join us for a live update on the EQ Positive Impact Portfolios. Using three case studies we will highlight how companies held within the portfolios are making a positive impact on society and the environment. We will end with a Q&A session, giving you the opportunity to ask any questions you may have. You can see the impact your client’s investment has made in an instant using our online impact calculator. Our Impact Report 2018 presents further evidence that investing in companies making a positive impact can be good for returns. Whether you look at revenues, profits, or employees, companies held by the EQ Positive Impact Portfolios are growing significantly faster than those in the FTSE 100 Index. They are also investing significantly more in research and development, have a smaller carbon footprint, and source a higher proportion of their energy from renewables. EQ charges an investment management fee of 0.35% + VAT. This excludes fund charges and platform fees. Fund charges vary marginally by platform and portfolio risk grade around 0.7-0.8%. See factsheets for full details. We are proud to say that the Positive Impact Portfolios have been awarded a 5/5 star rating by Defaqto. Click here to login to Defaqto Engage. Can I access other EQ portfolios? At present our Best Ideas and Low Cost portfolios are only available to EQ clients. If you would like to offer them to your clients then please get in touch. 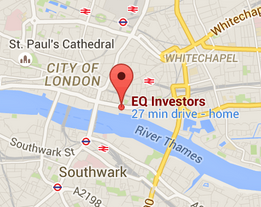 EQ Investors is an award-winning investment manager with a strong in-house research team. Click to find out more about how we invest. Damien has managed our Positive Impact Portfolios since their launch and leads our research on social and environmental impact. He is a strong advocate for sustainable investing, presenting the case both for its financial and social benefits. The information on this page is directed only at investment advisers and other financial intermediaries who are authorised and regulated by the Financial Conduct Authority (FCA). It must not be circulated to private clients or to the general public. I confirm that I am an investment intermediary authorised and regulated by the Financial Conduct Authority.